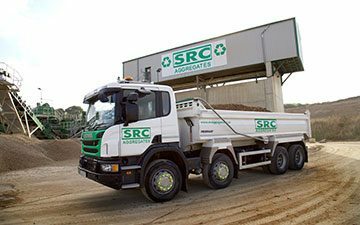 As an independent, family owned business, SRC recognise the importance of our corporate social responsibility, and strive to ensure that our contribution to the environment, and surrounding communities is a positive one. 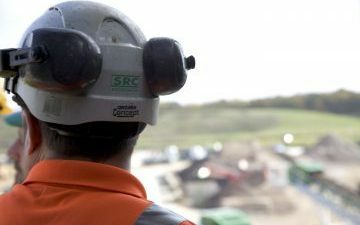 Sustainability is at the forefront of our practices, having transitioned our waste model from straight to landfill to one in which we recover and reintroduce the maximum content from waste back into the construction industry. 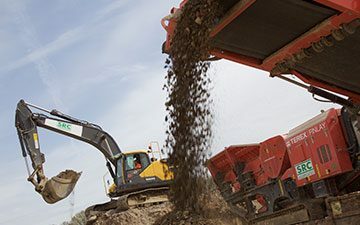 Our work also involves restoration and remediation of old or contaminated sites, and the responsible disposal of waste materials. 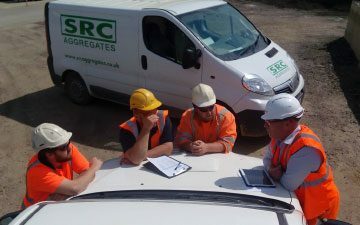 Maintaining the highest standards in Health and Safety is a core value to SRC Group, and we consider it to be a vital component in the success of the business. Our directors are actively involved in the management system processes to ensure that their visible and active commitment sets the example that is essential for staff and workforce engagement. In addition to promoting safe and healthy work conditions for our employees, minimising our impact on the environment is also a priority for SRC as part of our corporate social responsibility. 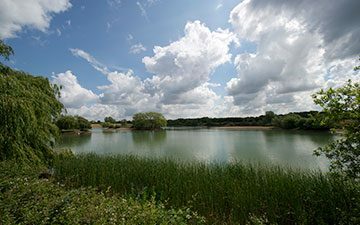 If you’d like to know more, our Health, Safety and Environment Policy Statement can be viewed here. We put the safety of people first, and are committed to ensuring operations are carried out in a way that improves our performance and ensures safety. 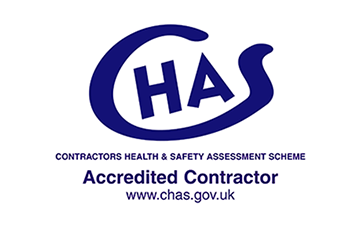 Our in-house Compliance Manager helps us achieve this, and we have regular HSQE audits on our sites. We also have our Welcome Intervention program for reporting near-misses and encouraging employees and visitors to look out for their own and each other’s safety. In November 2016, our managing director renewed SRC’s commitment to achieve Zero Harm at the MPA Health and Safety Conference, alongside other major players in the aggregate and minerals industry. 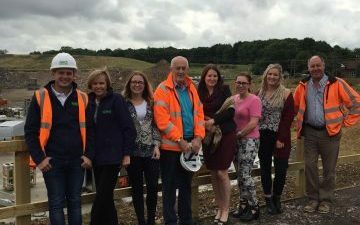 SRC recognise the importance of sustainable solutions to protect the environment for the future, and as such have invested £3,000,000 into a state of the art recycling plant at our quarry in Great Dunmow. 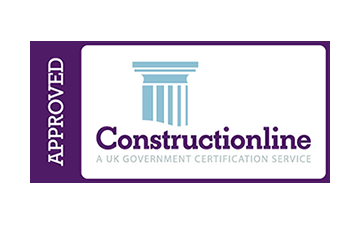 A range of construction waste can be screened, crushed; and washed at our facilities, and is then graded and reused. 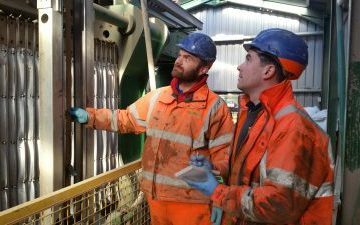 This enables us to optimise reuse of construction waste and greatly reduce the amount that is sent to landfill. 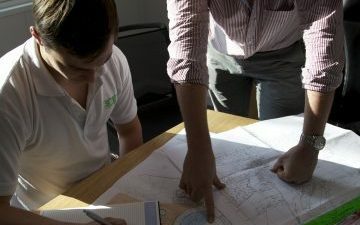 We use the latest technology and machinery so that we can maximise efficiency whilst reducing our carbon footprint, and work alongside other companies on projects to reduce their environmental impact by using sustainable methods and recycled materials. At SRC we believe that every employee is key to helping us succeed as a business and fulfil our goals, and we strive to create a great place to work for our employees. SRC are an equal opportunities employer, and seek to provide opportunities and high standards of training based on individuals’ abilities and experiences. 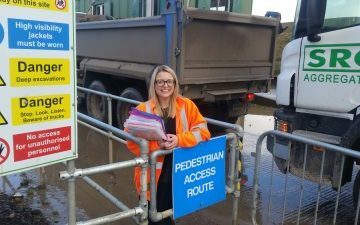 We provide our employees with guidelines on equality and diversity, and are committed to maintaining a work environment where all staff are valued and respected. 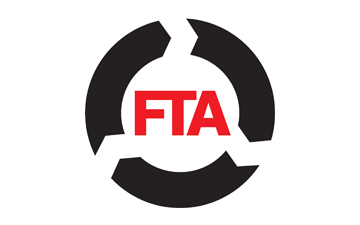 We aim to provide support and flexibility to meet our employees’ needs whilst also meeting customer demand. 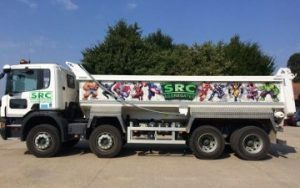 As a family-owned business, SRC Group are committed to creating positive relationships with the community across our operational areas. We make regular donations to local parishes and support local events, for example in 2016 we took part in Dunmow Carnival, and provided lighting for Takeley fireworks. We have donated resources to several community projects over the last few years and we are also proud sponsors of Colchester Rugby Football Club and Dunmow Young Farmers. SRC value investment into the industry’s future, and provide work experience placement opportunities, in addition to hosting open days for apprenticeship students. In 2017 we have pledged to provide Cycle Safety programs in local schools as part of a continuous effort to improve road safety. Supporting our local communities as well as good causes and charities is important to SRC. 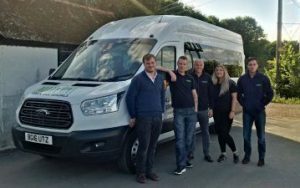 In addition to donations and sponsorships we provide to local groups and sports clubs, our team are proud to support fundraising and charity initiatives. In 2016 our employees have taken part in the Three Peaks Challenge and the Silverstone Half Marathon to raise money for charity. 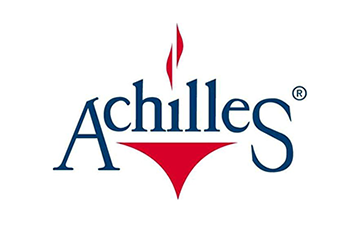 Looking forward to 2017 we have a team taking part in the London Moonwalk, raising money for breast cancer, and one of our directors will be participating in a community scheme in Albania to support local teenagers. 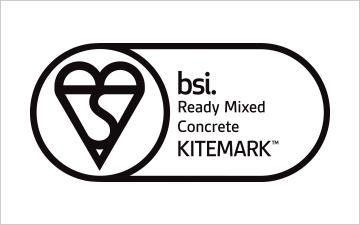 All of our products are subject to our diligent quality control measures; including our recycled aggregates which are produced under WRAP protocols and fully tested to maintain quality in line with Highways specifications. SRC Group invest in our processes to ensure that we can deliver the best quality and service for our customers. 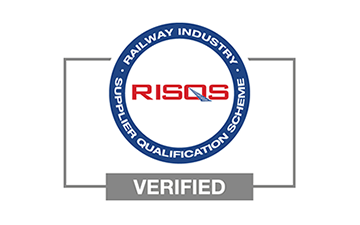 Our procedures are accredited by BSI to ISO 9001:2015 in Quality Management Systems, and we are accredited by a number of industry associations for construction and haulage.